Is it true about the cr500af ? Is it true about the cr500af? That you can buy it new like that. No. Never have been able to, Honda has never produced it. Last I heard Service Honda went OOB. Yeah, Service Honda stopped production about a year ago. Parts supply issues and costs. From what I understand they also made some very poor business decisions that made their business unsustainable. Probably, one of which was producing something that had a limited supply chain. I think too, they sold parts too cheaply for the customer service they also provided. I always thought their AF bikes were under priced by a couple of grand. Their pricing was like an OEM, not a boutique shop. Did you read the shroud? Service Honda, went out of business a couple years ago. They used to make those. Lots of people have them. I prefer a KX500 in a crf250 chassis though. Service Honda seems to be no more but there are other companies that will build 500AF bikes. There is one out West i believe, can't remember who though, then there is Panthera motorsports, not sure if they build whole bikes or just trick parts? Do some digging you can get them still but you gotta pay to play especially if you want one built, or you could do it yourself and save some serious $$$$ Saw an 05 450 roller for a few hundred just the other day, it was tempting but i like my 500 steelie just fine the way she is She ain't the perdiest but she runs and rides great. Way better to go through the process, frustration, tears, sweat & joy of building your own. , , , , , , , , . 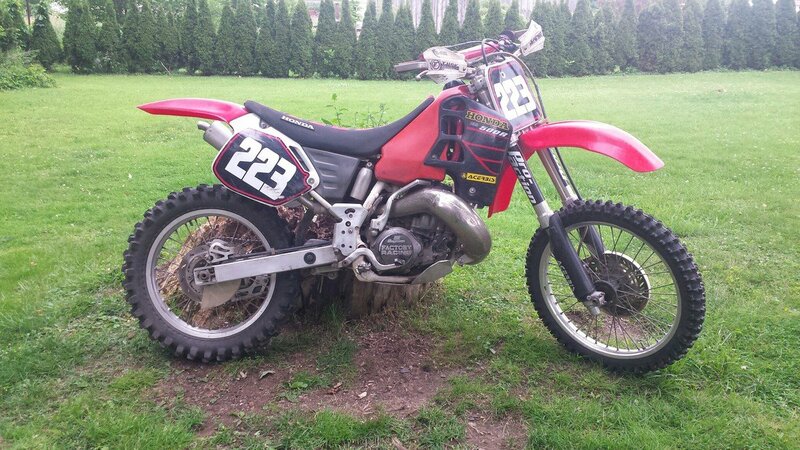 I'm old school & grew up riding / racing 2t's, but after owning an 02 AF CR500 a few yrs. back the 450 is a better choice IMHO. Af is a blast and turns on a dime, but nuthin's like a well tuned OEM, Still my favorite war horse.